Not the greatest picture, but it’s official! I make it a point to never ever talk about the details of my job or wherever I’m working. However, considering how so many of you have let me know you were praying for me during this relocation time, I did want to share some in general information about my new job. This week I started in the Communication Department of Samaritan’s Purse, and I’m so excited to finally get to work for this amazing organization. 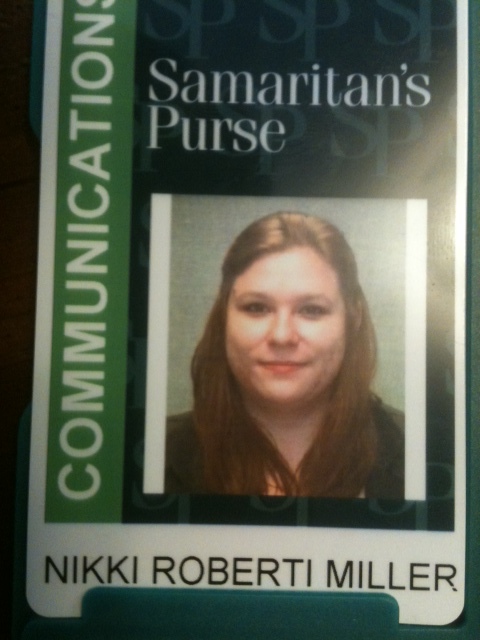 Not many people know this, but I had been looking into working for Samaritan’s Purse since before I graduated college. I decided to pursue magazines first though, which had many opportunities for me and I almost made the move to New York until God started closing doors in ways that were just mind boggling. Oh, I had awesome magazine offers. But right before it was finalized there was either budget cuts or lay offs, etc. It took me a while to figure out the purpose of being in Florida for a year. But I really think working at Christian Care Ministry was to prepare me for this experience. When I told a coworker about how a Samaritan’s Purse job listing said “non-profit experience a plus,” she gasped and said, “I’m getting so excited. I see what’s happening.” And that was the first time I truly thought maybe it would work out here. Me too, sir. Me too. And even if it doesn’t last for long at all, I’m happy for having this opportunity in this moment. I love the idea of working for an organization I can go home everyday from thinking, wow– they’re changing lives. 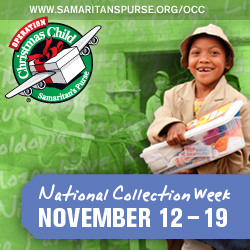 If you’re not familiar with Samaritan’s Purse, I highly recommend looking into their programs– or at least packing a shoebox gift for a child this Christmas with Operation Christmas Child. And also, I love having a day job that doesn’t burn me out from magazines so I can go home at the end of the day and still feel inspired to freelance or update my personal blog. Yesterday, I stumbled upon this video about why people should consider working here. Thought I’d share! So thank you all for your prayers. I really appreciate all the thoughts and help.